Automatic Team Selection for Your Pickup Hockey! Our goal at 20Skaters is to make lives simpler for our pickup hockey organizers, saving them time and money each week, while making the experience for their players better. We started with taking over their weekly game admin work, setting up a game page each week, handling all of their emailing and reminders, collecting sub payments etc. We’ve been working our way towards some of the more interesting and fun features, including the following which are rolling out this week…. At most pickup hockey games, team selection is effectively random and requires ongoing balancing as folks are coming onto the ice. That means that every skater stepping on the ice has to count up the dark and white jerseys to decide which they should be. It’s not complicated but it’s annoying. Starting this week, organizers can have us pick teams for them. 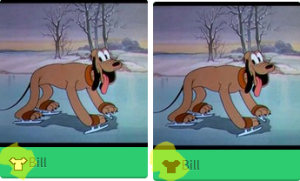 As each skater joins a game, they are assigned to dark or white team. The organizer can adjust and balance the teams behind the scenes if they’d like. When we email our gameday reminder to each skater, we’ll remind them what colour they are wearing today. For our games that do select teams which span multiple games, we will soon be adding the ability for you to assign a default team to each skater in your lineup. Hopefully this results in less counting, less balancing, and we can get games started sooner, which means more icetime! 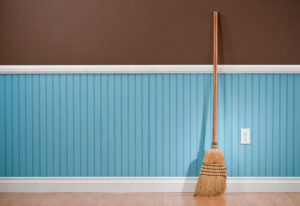 One of our organizers, Tom from Ottawa, recently sent us a wicked list of his dream features. In that list, he mentioned that he bookmarked his upcoming games page and often started from this page. 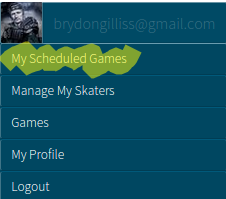 We’ve now added a “My Scheduled Games” link to our main navigation to make this simpler. Note that for some of our organizers, we’re still generating your game each week so this list could be short. Another one we’ve heard from Tom and others is that they’d like to know when previously accepted skaters decline. Currently we email organizers when a new player chooses to attend your game. We’re expanding that definition so that we will now notify you when the number of attending skaters for your game changes, either up or down. By the way, if you don’t want these ‘attendance change’ emails at all, we can turn them off for your game. This entry was posted in Product Updates on January 27, 2015 by brydon. 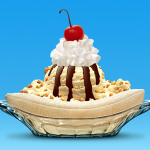 Last week one of our organizers asked us if we could “serve up a Mack Daddy Super Duper banana split?” The banana split he was referring to was a feature he wanted us to build. For our weekly games, the first thing we do is invite in your full time, paid for the season skaters. They can accept or decline directly from that email. After a couple of days we start to invite in subs who are able to purchase spots in that week’s game if they are available. Currently if your weekly pickup hockey game is soldout and someone then declines on the day of the game, our team at 20Skaters is notified. That allows us to take some action to get your game back to 20 skaters. What Rick asked us for was, sorry if this starts to look like pseudo-code…. The tricky balance we have is trying to fill all our weekly games while ensuring your paid full timers have spots if they can make it out. This new ‘banana split’ should help and we’ll be releasing it in the coming weeks. This entry was posted in Product Updates on November 6, 2014 by brydon. Over the past few months we’ve been busy rearchitecting our game management and message scheduling area. It’s been a massive amount of work that puts us in a great position moving forward. It should quickly eliminate any anomalies in our game related messages week to week and allow us to run a lot more games for our pickup hockey organizers. Unfortunately we literally pushed this release into production last Friday, on the scariest day of the year. 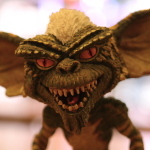 We have since uncovered some gremlins in the machine, the ugly ones of course. Hopefully you don’t spot any but if you encounter any issues with our site, apologies and feel free to contact us directly about the issue and we’ll work on fixing it asap! This entry was posted in Product Updates on November 3, 2014 by brydon.